Some friends and I were taking a trip along the Saddle Road and we stopped off to have a look around at about the 27-mile marker. 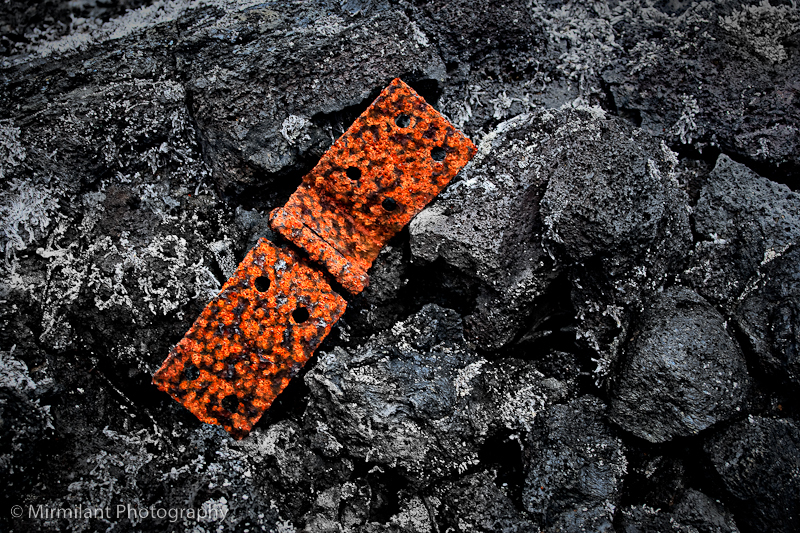 We came across a pile of old rusted hinges strewn across the relatively new, black lava. Not sure how they got there or how long they were there for, but nature seems to be reclaiming its iron. Previous Previous post: new tricks for old dogs!